Christmas is coming soon, and carnival is close at hand. 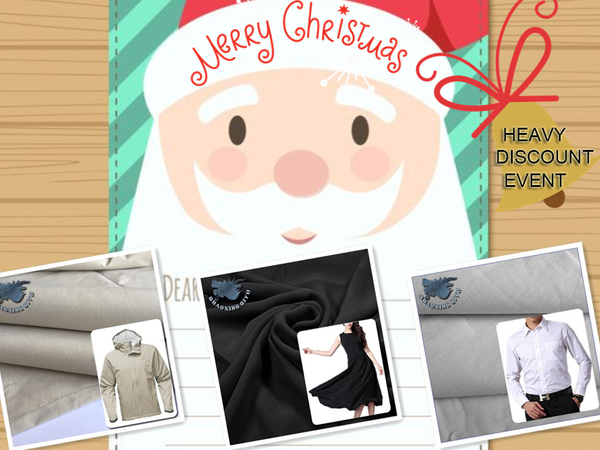 In order to celebrate Chrismas Carvinal, apparel fabrics orders will have HEAVY DISCOUNT from Dec. 1, 2017 to Jan. 31, 2018. Our main products are shirt fabrics, coats and trousers fabrics, womenswear fabrics, and some knit fabrics, etc. This discount event also applies to custom orders. Welcome to your inquiry, and kindly keep us being informed your thought. Then more detailed offers will be updated accordingly.